I came across this Simple moisturiser by chance in ASDA for a mere £3. Usually on sale for under £5, or on offer at 2 for £6, this is a great low cost moisturiser. It is light on the skin and, as with all Simple products, it is chemical and fragrance free. I like to use it right before I apply my makeup but I wouldn’t fully recommend it as a primer as it doesn’t matify the skin completely. However, it does control excess oils well and the packaging is sanitary and appealing. This was an end of year buy influenced by an Instagram pic. Revlon Colourstay’s ‘Bold Sangria’ polish is one of my new favourite polishes. Last year my Revlon nail polish ‘go-to- was ‘Spanish Moss’ which I used up and think I’ll repurchase again this year. Overall the Revlon polishes are long lasting, chip resistant and shiny. It is a bit costly at £7.99 but I think it’s worth the money, like all expensive polishes. Yes, I’m talking to you Essie and OPI! I’m so happy this product lived up to the hype. As a slave to Vaseline for dry, chapped lips, I have tried numerous lip products. Finally, after a lot of trial and error I’ve found a good runner up. I’m not sure I would go as far as to replace this for Vaseline but it’s a tight call. Baby Lips itself is oily and moisturising, leaving a lovely sheen to your lips without being sticky. With a simple twist applicator at the bottom the packaging is bright and bold. I have been using the ‘Quenched’ Baby Lips which is goes onto the lips clear but there are numerous Baby Lips available in different shades which I can’t wait to try in 2014. In terms of availability I found these were hard to come by. That said they have been out for a good few months now so keep an eye out. They’re very popular! In other Maybelline ‘Baby’ news, this month sees the launch of ‘Baby Skin Instant Pore Eraser’ primer. The online waiting list for this product at Boots.com is full but I managed to get one in my local Boots this evening!! Judging by the early online reviews I’ve read it’s as good as the ‘Baby Lips’ and a steal for £7.99 or (€11.99).Off the huge success of Baby Lips, Maybelline are launching a ‘Dr Rescue’ Baby Lips. Already available in the US, I’m looking forward to trying this re-vamped version of a brilliant product. Who doesn’t love a good Yankee Candle? My favourite towards the end of 2013 was definitely Fluffy Towels and Soft Blanket. Both extremely similar scents are fresh and cleansing. I found that they are completely odour eliminating compared to the other Yankee scents I’ve burned over the years. Jennifer Lawrence knows how to work a cover shoot! J-Law looked incredible in Vogue USA September issue in 2013. The biggest and most important issue of the year was full of amazing spreads, including Jennifer’s and one shot in Co. Cork, Ireland. Jessica Chastain gave Jennifer a good run for her money as my favourite Vogue cover girl for 2013, a copy of which I manged to get my hands on yesterday! Beyoncé’s May Vogue UK and Claire Danes November Vogue UK covers were my UK Vogue faves. 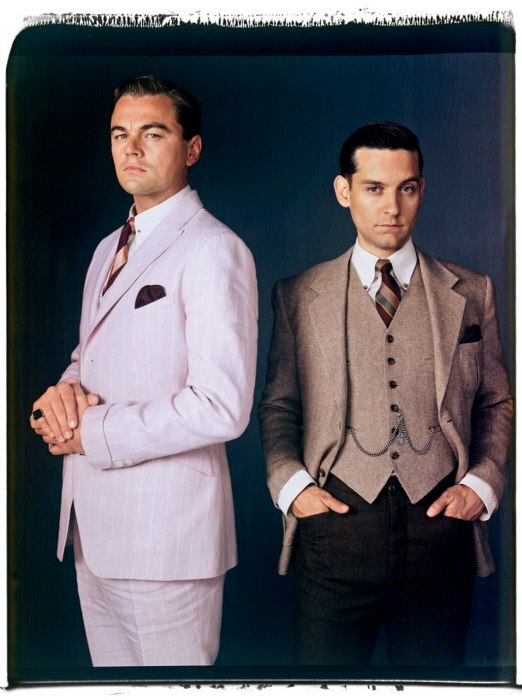 Anyone who follows my blog will know that I L-O-V-E The Great Gatsby, both book and Baz Luhrmann’s silver screen adaptation. The music, fashion and jewellery are simply stunning in this film and Carey Mulligan is like an angel send from heaven with porcelain skin. A must see!! A Christmas present in 2012 I have been listening to Bruno Mars on a loop for the whole of 2013. My favourite songs include the released ‘Locked Out of Heaven’, ‘Treasure’ and the unreleased ‘Natalie’ and ‘Money Make Her Smile’. The only disappointing thing about this album is that there are only ten songs on it. 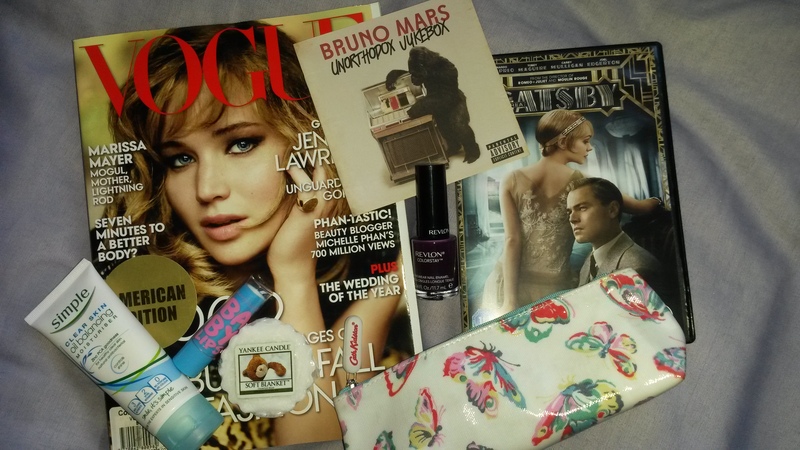 A present for my 20th birthday, a small Cath Kidston makeup bag was the very thing I didn’t know I needed! This is the perfect handbag sized makeup bag. Brilliant for holding a bottle of nail polish, eyeliner, mascara, a nail file, a mirror and lip balm in one place in your handbag. It’s also stylish enough to bring out in public. 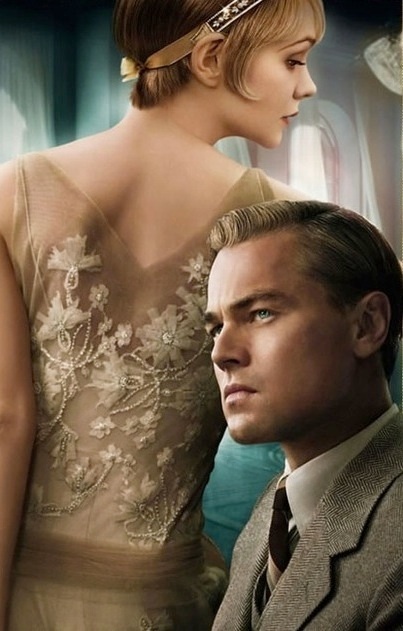 In honour of The Great Gatsby DVD release this Monday, I thought I would re-post this info I found online about the cost of living like Jay, Daisy and Nick in 2013 versus the 1920’s. If I had a spare £69, 614,138.13, I’d live like West Egg royalty too! 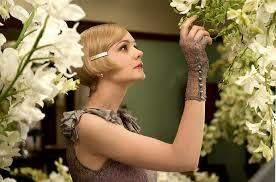 Make sure to have a look at my previous Gatsby film inspired posts on fashion, jewellery and music. 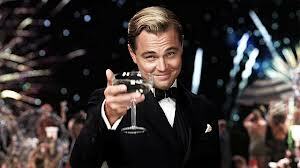 Like the fashion and jewellery the music in The Great Gatsby did not disappoint! Jay Z, Beyoncé, Lana Del Ray, Emile Sande, Kanye West, Florence and the Machine, to name but a few, all appear on the films soundtrack. Even with all these big names appearing on the soundtrack, there has been a lot of online criticism about the soundtrack. Many bloggers and reviews complained that the songs were too “2013” and modern to fit with the 1920’s atmosphere portrayed onscreen. I have to say at points during the beginning of the film I was starting to agree with the critics. 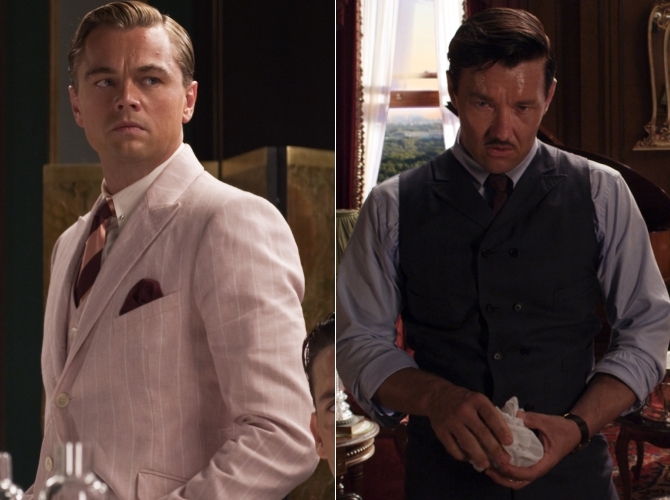 Jay Z and Kanye rapping over pictures of 1920’s New York just didn’t seem right. However, as the film progressed the music became an essential ingredient to storyline as we watched the drama unfold. There were two cover versions on the soundtrack, both with Beyoncé connections. The first was Emile Sande’s cover of Beyoncé’s hit “Crazy In Love”. Emile’s version really replicated the 1920’s with a jazzy Charleston vibe. Beyoncé controversially covered Amy Winehouse’s “Back to Black”. Personally I loved this version! It’s sensual and full of sass, done to typical Beyoncé perfection. Lana Del Ray’s hauntingly hypnotic “Young and Beautiful” gives Beyoncé’s cover a run for best song on the album. Del Ray’s song was seamlessly woven into the middle of the film. An excellent choice! 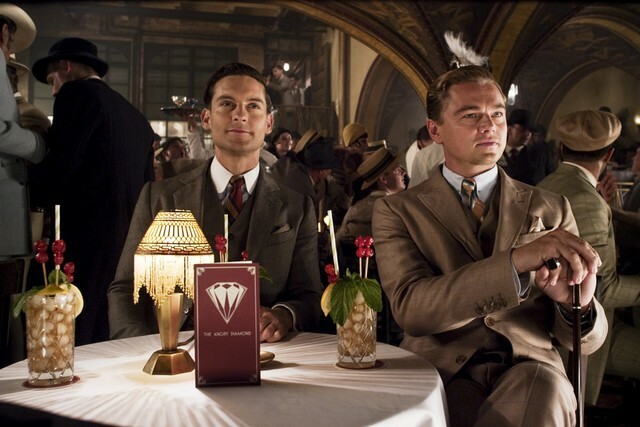 Here’s a full listing of the tracks on The Great Gatsby Soundtrack [Deluxe Edition]. Let me know what your favourite song from the film was. 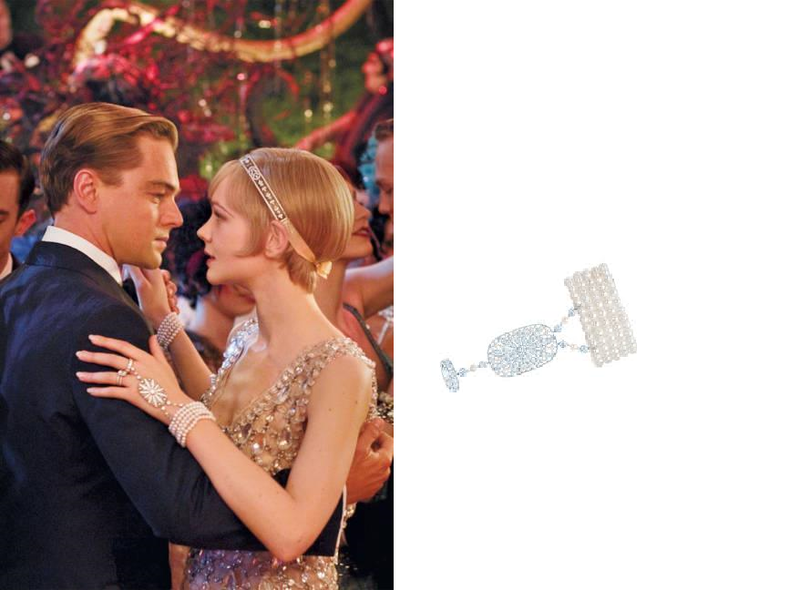 Part two of my Great Gatsby inspired posts is all about the jewels! You would be hard pressed not to notice the HUGE sparklers in each scene, most notably any scene with Carey Mulligan or Elizabeth Debicki. However, it wasn’t just the ladies dripping with diamonds and pearls, the men were also decked out with remarkable cufflinks and rings. Who could provide such stunning jewellery I hear you ask? 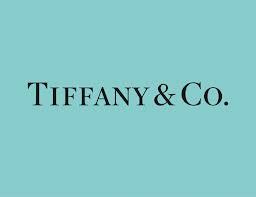 Why, Tiffany’s of course! 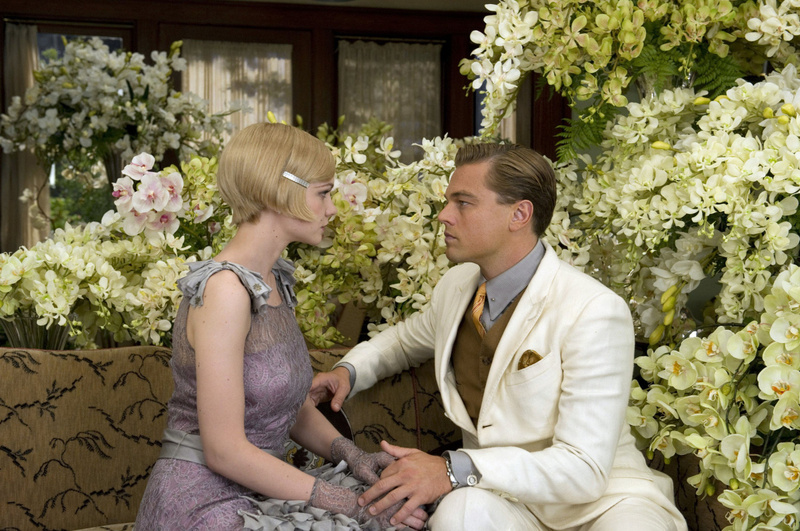 The iconic jewellery house, of which F. Scott Fitzgerald was a customer, worked together with the film’s designers to create each bespoke piece. Some of the pieces used in the film were part of Tiffany’s original 1920’s collection and the rest inspired by the original collection. 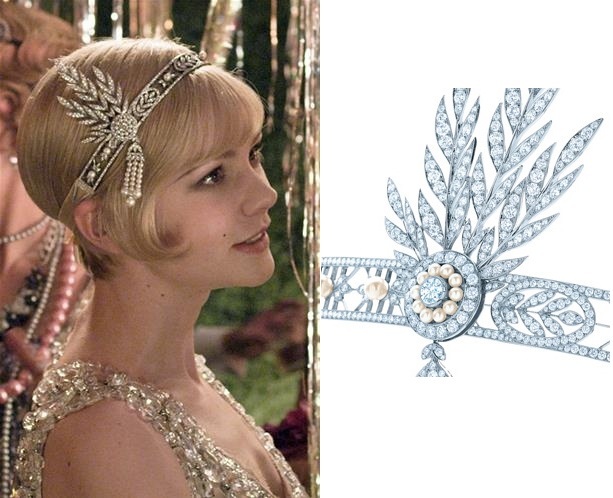 The most remarkable piece from the film is Daisy’s headpiece come tiara, which she wears to Gatsby’s party. 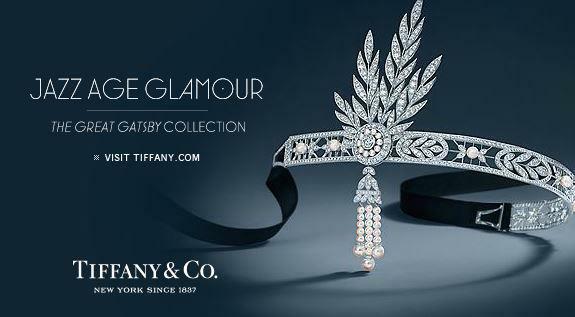 According to Tiffany’s website this stunning headpiece will set you back a mere €200,000. 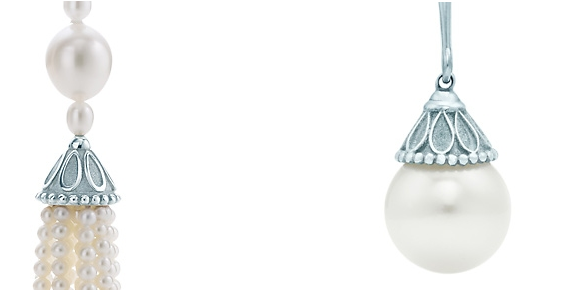 The Jazz Age Glamour Collection showcases some of the pieces featured in the film like this beautiful ring and bracelet pearl combo that Daisy wears along with the headpiece. 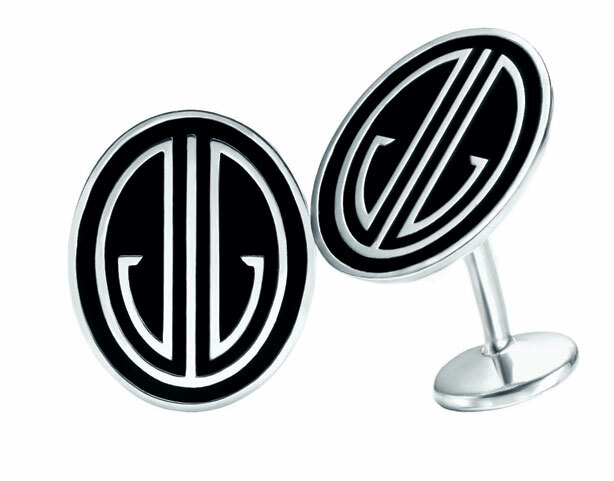 Not to be outdone, Jay Gatsby’s cufflinks, all custom-made for the film, contained the initials J.G. 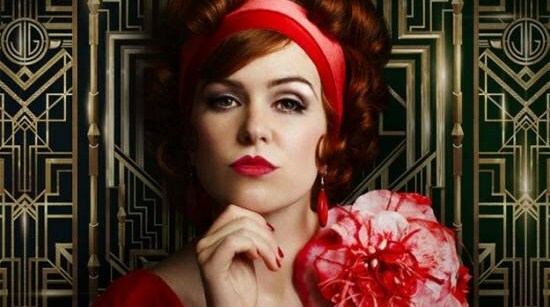 The headpiece Daisy wears to lunch is simple and elegant, accentuating her iconic 1920’s bob. 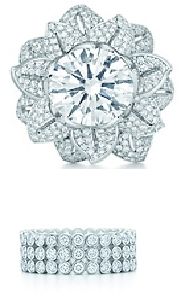 Sadly, I couldn’t find an image of the original ring worn by Daisy in the film but Tiffany’s have created a Daisy ring inspired by the film. 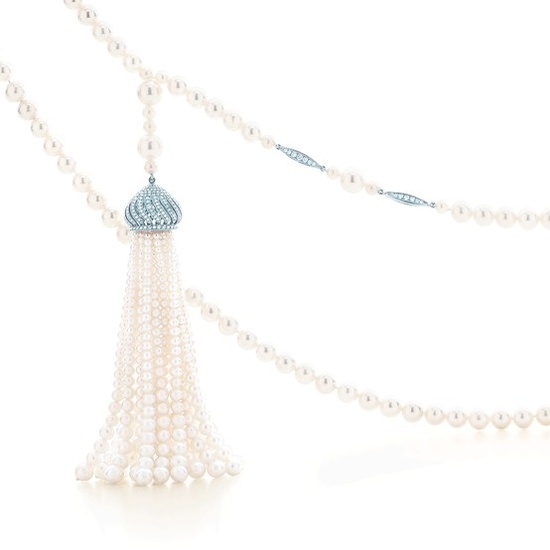 The pearls featured in the film varied from single and drop pearl earrings, to rows of perfect pearls necklaces. I don’t know about anyone else but my jewellery collection is seriously lacking! !